In one week at the beginning of fiscal year 2014 on October 1, 2013, and at the start of the calendar year on January 1, 2014, the provisions of the new health care law go into effect. Image courtesy: Charlotte Area News. The health care law, known officially as the Affordable Care Act (ACA) or more commonly as “Obamacare” has two parts: the Patient Protection and Affordable Care Act (PPACA) (Public Law 111–148), and the Health Care and Education Reconciliation Act (Public Law 111–152 which was enacted to amend the PPACA. It was passed by Congress and signed into law by President Barack Obama on March 30, 2010. Since that time, in the span of 42 months, the health care law has been upheld by the Supreme Court and some early provisions have already been implemented. Upon conception of the law, 2014 was marked as the year the most significant provisions of the law would go into effect. Image courtesy: New York Daily News. This is a basic overview of the law. To fully understand the details requires further reading, and GPO is here to help. GPO makes the authentic, published version of the Patient Protection and Affordable Care Act and the Health Care and Education Reconciliation Act available to the public in print through the agency’s Online Bookstore and digitally through GPO’s Federal Digital System (FDsys). GPO also works with 1,200 libraries nationwide through the Federal Depository Library Program to have resources on the health care law available to public. 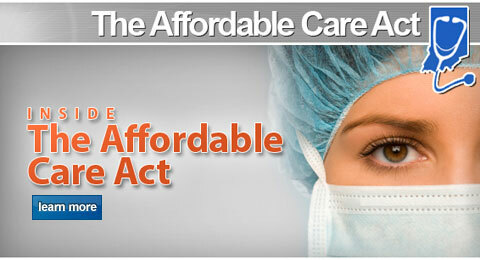 How do I obtain a copy of this Affordable Care Act (ACA)? Shop Online: You can purchase a printed copy of the Health Care Act containing the Patient Protection and Affordable Care Act and the Health Care and Education Reconciliation Act of 2010 from the U.S. Government Online Bookstore or by shopping our Public Health Policy & Healthcare Laws collection under our Health & Benefits category. Visit our Retail Store: Buy a printed copy at GPO’s retail bookstore at 710 North Capitol Street NW, Washington, DC 20401, open Monday–Friday, 9 a.m. to 4 p.m., except Federal holidays, Call (202) 512-0132 for information or to arrange in-store pick-up. Find it in a Library: Find this in a federal depository library. This entry was posted on Tuesday, September 24th, 2013 at 11:29 am and is filed under Business, Consumers, Department of Health & Human Services, Digital Publishing, Federal Depository Library Program (FDLP), Government Printing Office (GPO), Health care, Judicial Branch, Social Security Administration (SSA), Women. You can follow any responses to this entry through the RSS 2.0 feed. You can leave a response, or trackback from your own site. thank you for this article about Health Care we need more article and content about this topic ,thank you again for this great job. This article has truly peaked my interest. I’m going to bookmark your website and keep checking for new details about once a week.